The work of a high-flying businessman is always filled with exciting challenges and new opportunities waiting to be discovered, especially if the nature of the job requires trips abroad to meet with clients and discuss potentially lucrative deals. The chance to travel while working is truly thrilling because it allows hard-working individuals to leave the confines of their offices and see amazing places that they’ve never been to before. It also helps that such trips are sponsored by the company, but that’s definitely beside the point. The essence of business travel is to get the job done while also taking the time to enjoy the wonders of an unfamiliar location, thereby enhancing your life experiences that will contribute to the continuing success of your professioal career. And if you happen to travel frequently for work, then you’re definitely in luck as this post is the first of many to help you make the most out of your work-related excursions around the world. Kicking things off is a popular European destination that is not just a favorite for tourists, but also a fantastic choice for many business travelers everywhere. France is steeped in history and prestige that anywhere you go—from sophisticated urban cities to rustic provincial landscapes—you’ll definitely find something that will charm and seduce your wanderlust desires. It also happens to be a particularly large country, so you’ll surely have plenty of options to fill out your itinerary if you plan on impressing your clients via a day trip or intending to explore the vast regions of the French countryside during your downtime. 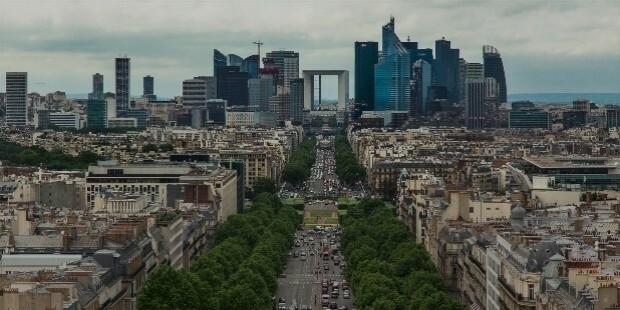 Furthermore, there’s more to this soigné nation than just it’s scintillating capital city, so consider the suggestions below as alternative, but no less amazing, things to see and do whenever you find yourself traveling to France on a business trip in the future. What better way to inject some much-needed energy and vigor in your body than by taking a trip to the snow-capped mountains of France? This is a surefire way to really get your juices flowing since the country is a well-known destination for a wide range of winter sports due to their world-class mountain ranges possessing the finest snow to perform incredible feats of cold weather games. The winter season is obviously the peak time for visitors to descend upon the many mountainside chalets and resorts, so it’s vital that you book your accomodations weeks or months in advance to avoid getting shut out of the best locations from other snow-loving business travelers. 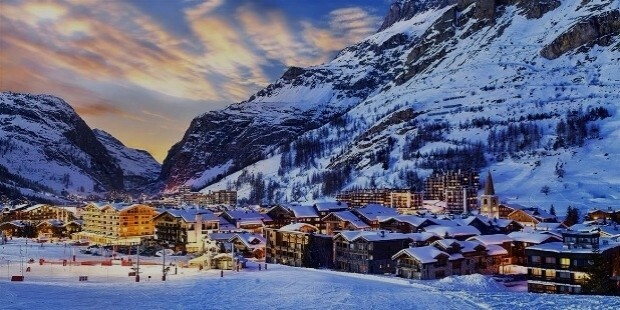 Check out some of France’s best places to live out your winter wonderland fantasies such as Courchevel, La Plagne, and Val-d’Isère (pictured above) which is located in the southeastern region of the country. Of the many things that are directly associated with France, the alcoholic drink known as champagne is definitely one of those iconic things that come to mind. This sparkling wine with the distinctive golden hue is a staple for many parties and celebrations, so it’s definitely fitting for you to break out a large bottle of champagne should you manage to successfully close a deal with a client. Make no mistake: the best bottles containing this delicious and effervescent liquid never come cheap, so make sure you have enough on your expense account to cover the costs of buying some high-quality champagne for a business lunch meeting. And if you really want to get to the very source of this glorious beverage, then consider taking a trip to the Champagne wine region, where the drink gets its legally protected name. 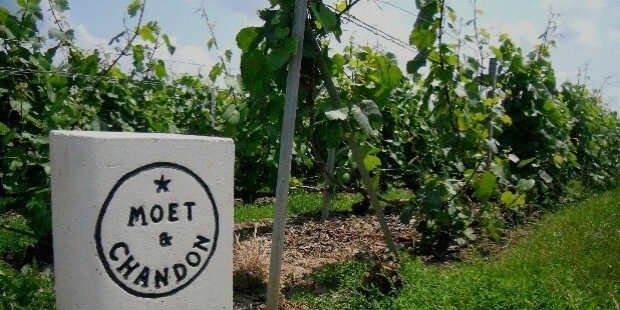 Take a tour of the many champagne-making houses in the area such as the one for Moët & Chandon (pictured above) to see exactly how this type of wine is created, so you’ll have a greater appreciation for it once you’re ready to take another toast and sip. Business professionals are always dressed to impress, so you shouldn’t dare waste an opportunity to visit France for a future business trip. Bear in mind that this nation houses one of the top fashion capitals of the world, and as such, you must take advantage of this fact so you’ll put your best foot forward when meeting with clients. Naturally, you can’t go wrong with a trip to the best shopping districts in Paris, as the city houses a large number of luxury French fashion houses like Chanel, Yves Saint Laurent, and Christian Dior, as well as top designer brands from sister fashion cities like New York (Ralph Lauren, Diane von Fürstenberg, Calvin Klein), London (Burberry, Alexander McQueen, Vivienne Westwood), and Milan (Prada, Dolce & Gabbana, Giorgio Armani). 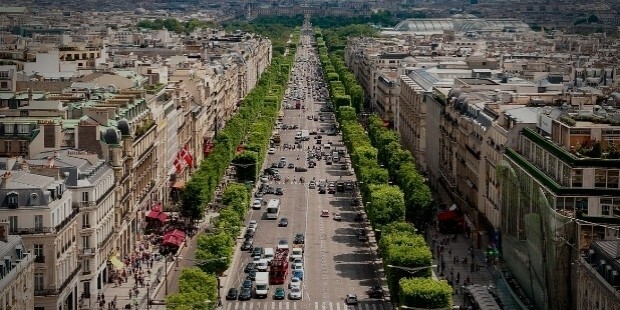 Both men and women can get their high fashion fix while exploring the streets of Paris, especially if they head over to the Champs-Élysées (pictured above), a beautiful urban avenue containing a high concentration of upscale stores and boutiques ranging from Louis Vuitton to Tiffany & Co. Spare absolutely no expense in this regard because dressing to impress for business also means that you’re dressing for success. 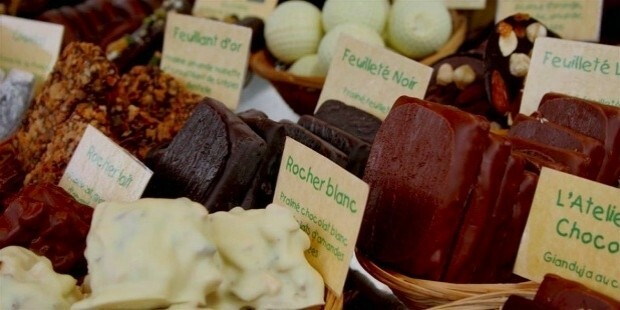 Europe is a hotbed for the best confectioneries in the world, and France is no exception when it comes to producing the finest sweets and desserts imaginable. Aside from finalizing contracts and closing very lucrative partnerships after weeks of negotiations, there’s probably no sweeter deal for a businessman or woman to enjoy than the best French confections available. That sugar rush is perhaps the best way to top off a successful business deal, so if you’re in the mood to make your sweet tooth happy, then consider taking a pilgrimage to the birthplace of French chocolate: the region of Bayonne situated within the Basque Country. All of the best Bayonne chocolatiers (pictured above) can be found here—Cazenave, Daranatz, and Pariès to name an illustrious few—and most of them have even kept and preserved the ancient traditions of chocolate making to present day. Go ahead and buy a box or several boxes for you to enjoy, or to give away as luscious gifts to your colleagues when you return home from your business trip. As far as horticultural aesthetics go, the French are right up there with the very best when it comes to beautifully manicured jardins (“gardens” in French). To be specific, the hallmarks of a French-style garden is defined by the rules of formality, symmetry, and the idea of imposing structure and order within the often unruly attributes of nature. Business professionals can certainly relate to the idea of sticking to a planned outline, and as such, visiting a lovely French jardin is a good way to examine the beauty and perfection that results from hard work, dedication, and extreme attention to details. 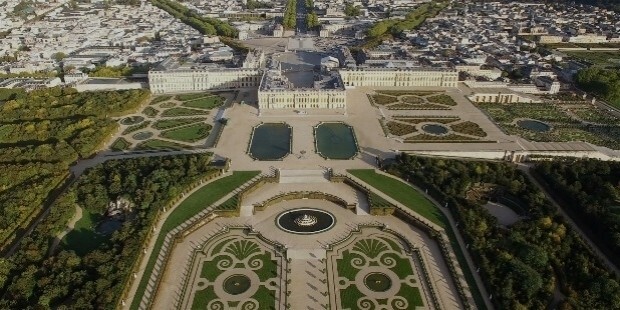 If you’re seeking the pinnacle of French formal gardening at its finest, then look no further than the grounds surrounding the Palace of Versailles (pictured above), located twelve miles southwest of Paris. But if you’re looking for other breathtaking choices to satisfy your horticultural interests, then check out the Jardins d’Eyrignac in the Dordogne department of France as well as the Château de Villandry, whose gardens are as famous as the very house it surrounds. There’s plenty for the business traveler to enjoy in France when the subject of architecture is involved. Although the country has an association with a classical French Renaissance aesthetic, there are now more eye-catching selections showcasing various architectural styles on display scattered all throughout the nation. 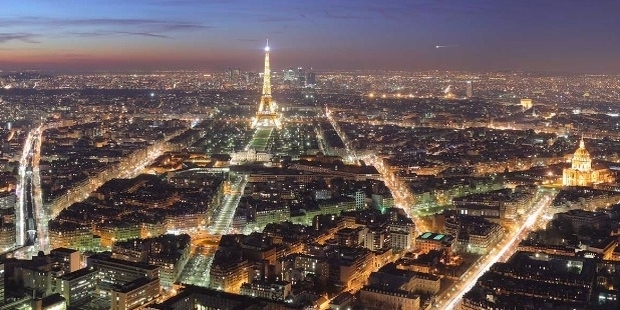 The most modern examples can be found in the larger urban areas such as Paris where structures such as the glass pyramids in front of the Louvre Museum, the Centre Georges Pompidou, and the Eiffel Tower can be seen. 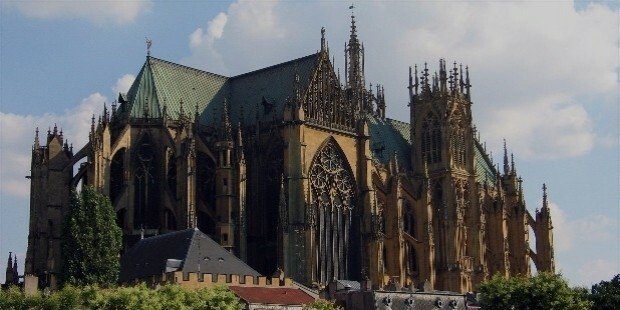 Elsewhere, there are awe-inspiring examples of religious architecture like the Metz Cathedral (pictured above) situated in the region of Lorraine, where the church features incredible stained glass windows made by famous artists such as Charles-Laurent Maréchal, Roger Bissière, Jacques Villon, and Marc Chagall. You should also enhance your business trip downtime by taking a tour throughout the pastoral Loire Valley where the area is home to several historical châteaus or manor houses of the French nobility and gentry. No trip to France would ever be complete without sampling their world-famous cuisine. As the birthplace of fine dining and the place where many of the established codes of modern cooking techniques and classic gastronomic recipes were invented, it’s no surprise that this European nation reigns supreme when it comes to presenting food that not only tastes good, but looks good as well due to exacting preparation methods and refined plating methods. But not all French food is all formal and upscale as there are several regions of the country that have proud rustic dishes which are just as delicious as their haute cuisine counterparts. Of course, the best way to make a good impression on your client is if you’re able to book a table at a famous Michelin-starred restaurant to conduct an important business meeting over lunch or dinner. 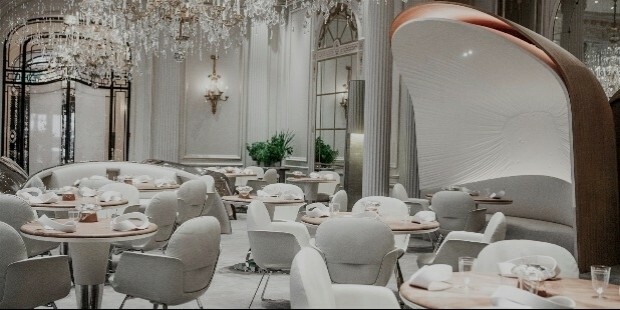 You’ll certainly be spoiled for choice because there are no less than twenty-six of them distributed all over France, and ten of which are located in Paris such as L'Arpège, Epicure, Le Cinq, and the restaurant at the Plaza Athénée Hotel (pictured above).